What new 2019 Children’s Books are you reading? “When Nanda is born, the whole of her world is the circle of her mother’s arms. But as she grows, the world grows too. It expands outward—from her family, to her friends, to the city, to the countryside. And as it expands, so does Nanda’s wonder in the underlying shapes and structures patterning it: cogs and wheels, fractals in snowflakes. Eventually, Nanda’s studies lead her to become an astronaut and see the small, round shape of Earth far away. 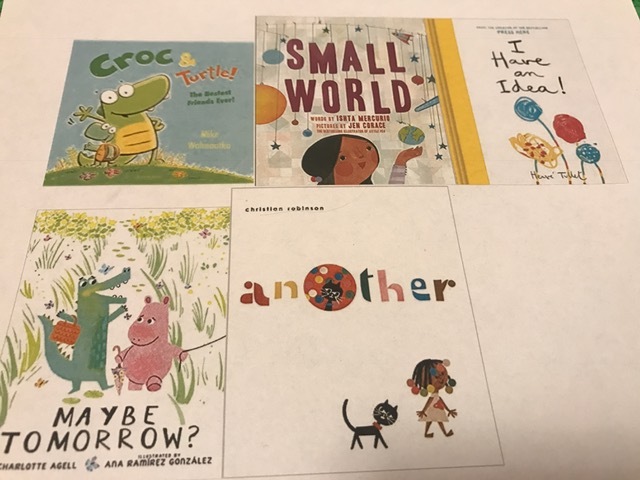 A geometric meditation on wonder, Small World is a modern classic that expresses our big and small place in the vast universe” July, 2019 Abrams Books for Young Readers. Signing at #alamw19 Sunday, January 27th 9:00am-10:00am. Full ALA Midwinter schedule here. “In his eagerly anticipated debut as author-illustrator, Caldecott and Coretta Scott King honoree Christian Robinson brings young readers on a playful, imaginative journey into another world. What if you…encountered another perspective? Discovered another world? Met another you? 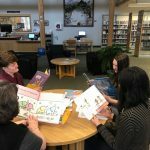 What might you do?” March, 2019 – Atheneum Books for Young Readers. Will your favorite 2018 book be announced at the ALA Youth Media Awards on Monday, January 28th? As I review all of my favorites, I wonder if any of the books from our library’s Mock Geisel will be one of the real Geisel Award books? Make sure to explore the ALSC Blog 2019 Mock Election Results and stream the Youth Media Awards live! Explore the Notable Children’s Discussion schedule and book list at #alamw19 and the Book Buzz Theater Schedule here. See you at #alamw19! Maybe at Café Ladro drinking a Hot Chocolate, Top Pot Donuts reading one of your new books or Macrina Bakery flipping through your session notes.